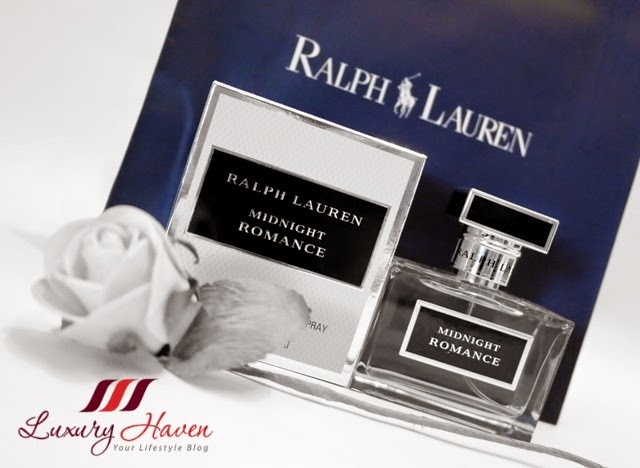 Ralph Lauren Midnight Romance Fragrance Sampling & Giveaway! 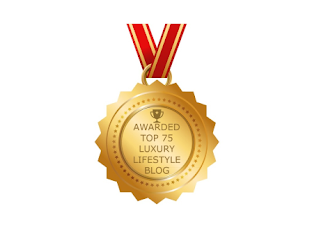 You are here:Home » Product Reviews » Ralph Lauren Midnight Romance Fragrance Sampling & Giveaway! With the enchantment of feminine mystery, Ralph Lauren Fragrances presents MIDNIGHT ROMANCE, the fragrance of passionate desires. MIDNIGHT ROMANCE is a sensual embrace of pink peony and mysterious black vanilla, creating a modern contradiction, much like today’s woman. 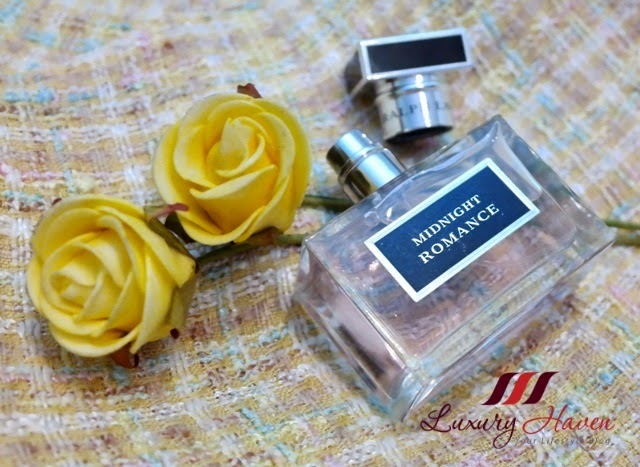 Ralph Lauren MIDNIGHT ROMANCE is the fragrance of passionate desires. Developed with the point of view of both a male and female master perfumer, each note in MIDNIGHT ROMANCE adds a facet of sensual femininity and mystery to create chemistry, much like the exciting anticipation of a passionate romance. To bring the MIDNIGHT ROMANCE love story to life and portray the cinematic start to many romances, world-renowned director Bruce Weber created a short film in black and white to capture the essence of midnight passion. This story also welcomes a new Ralph Lauren Fragrances face, Anna Selezneva, a current star on the Ralph Lauren fashion runway. There seems to be an understated bond between a woman and the fragrance she chooses. MIDNIGHT ROMANCE presents her wearers with an opportunity to craft for themselves a memorable, personal trademark. Beyond the allure of the chiseled perfume bottle exhibiting the sensual mystique of the fragrance, the soft pink potion is sealed with a shiny metallic black cap with silver outline. I love how the romantic scent of sensual pink peony and mysterious raw black vanilla explodes into the most luscious kisses with sparkling raspberry. 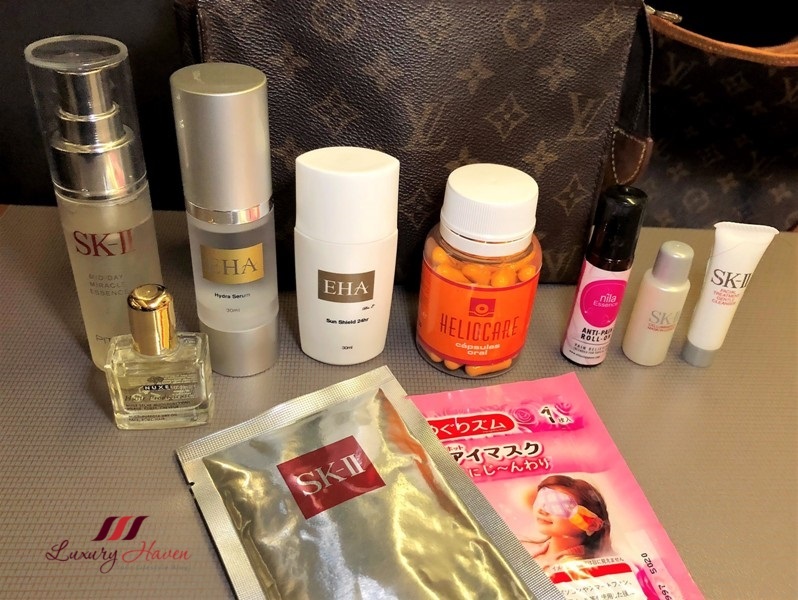 Now, for the Sampling Giveaway + Products Giveaway for readers of Luxury Haven! Quote "LUXURY HAVEN" to redeem your Midnight Romance EDP 1.5ml vials at Ralph Lauren fragrance counter! 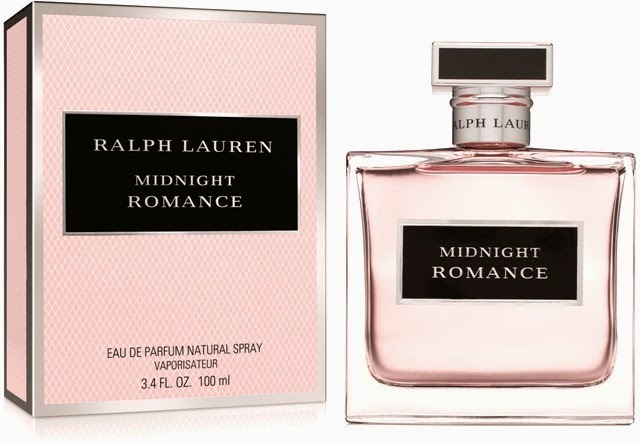 That's not all, we're giving away Ralph Lauren Midnight Romance EDP 50ml (worth SGD 116) to 3 lucky readers! Like Ralph Lauren Fragrances Facebook Page. 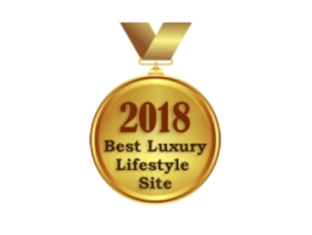 Like Luxury Haven Facebook Page. Visit Ralph Lauren fragrance counter at Takashimaya level 1 and present proof of liking the Facebook pages and quote ‘Luxury Haven’ to redeem the sample. 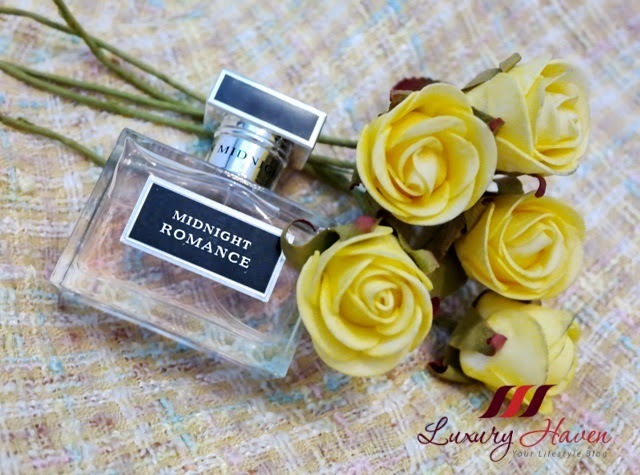 Share this giveaway photo of Ralph Lauren Midnight Romance on Facebook with the hashtag #MidnightRomanceSG and tell us "What is your ideal romantic escapade / getaway?" Tag 5 of your friends in the post. 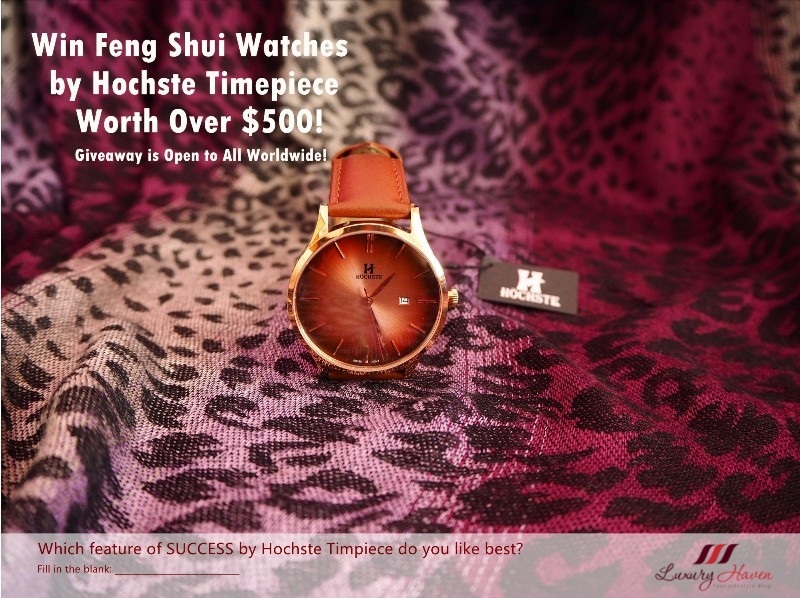 #Giveaway is only Open to Participants Residing in Singapore. 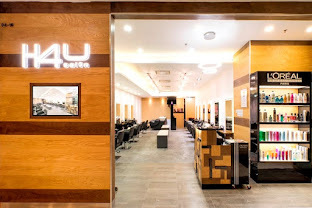 Winners will have to collect their prizes at L’Oreal Singapore office. Ralph Lauren will randomly select 3 winners from the eligible entries. 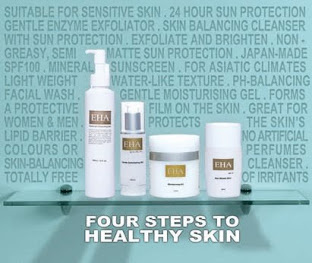 * Sampling and Products Giveaway closes on 7 September 2014. Enjoy your sampling and good luck to all! Thank you #RalphLauren, for the scented giveaway! 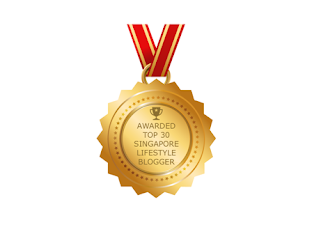 Update: Winners of Ralph Lauren Midnight Romance Fragrance Giveaway! 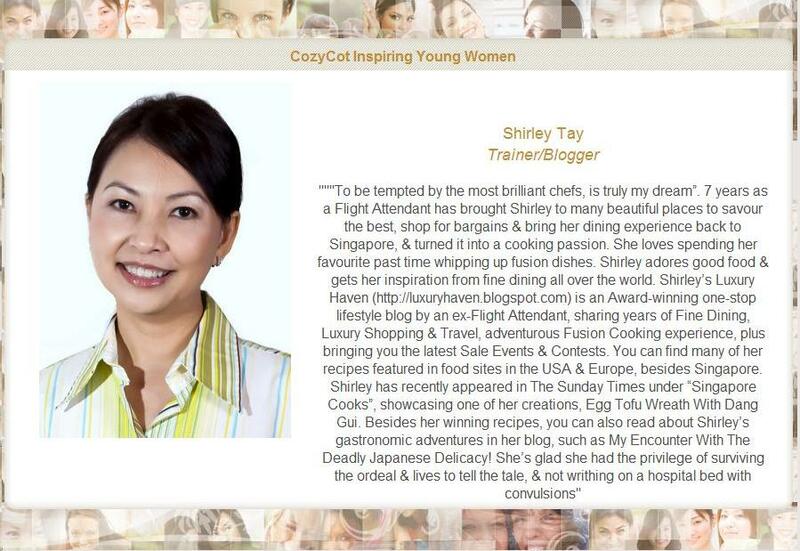 Cindy, thanks so much for your lovely comments! You're always so supportive of my cooking etc. Hahaha! This is a lovely fragrance. Monica, love the sweet pink & the scent! 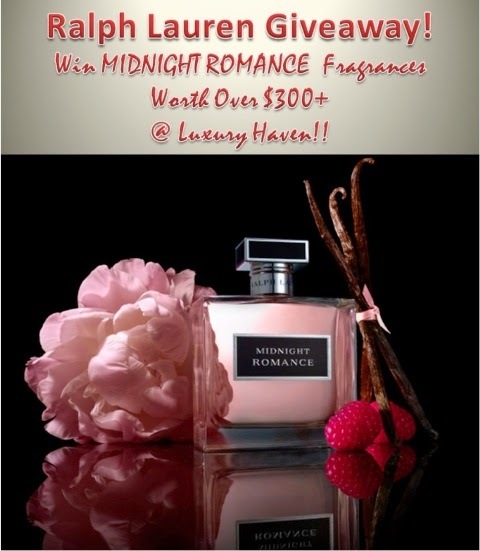 My ideal romantic escapade/getaway is going to Europe with Ralph Lauren Midnight Romance Fragrance ! Tagged my friends Y.y. LinShirley TanLilLil TanRita Lee Hazelbell Yang #MidnightRomanceSG Welcome To Shirley's Luxury Haven Liked and shared to all my friends! Hope to be the lucky one! Wish me good luck! Cheers! Kelly, please copy & paste your comment in the giveaway pix in FB. Thanks for your participation & all the best to your entry! aiya~~ why only open to Singapore? lol...i was about to share and tag 5 persons d...hehe any For Him EDT coming up? aiya...never thought of that...will do in the future..
GZ, thanks & you've a good week too! Thanks for this giveaway. This looks great! I like raspberry smell, so this perfume must be heavenly. Thanks for sharing the giveaway. DS, all the best to your entry! It sounds most enticing! Good luck to all contestants!! Coco, thanks & have a great week! While I admired the fragrance, I somehow don't use it. Best of luck to the winners. Nava, I remember you're not a fan of fragrance :D Enjoy your coming weekend, dear! HW, it's Friday tmr! Have a wonderful weekend! Great give away. Sounds like a great fragrance!! What pretty packaging and the fragrance sounds lovely as well. Good luck to everyone! Rowena, thanks & wish you could participate too! Wow. This looks like an amazing giveaway. LL, fans of RL will be overjoyed! I agree with the first comment, the way you described this midnight fragrance, you have made me participate in this giveaway! Kathy, go check it out! See if you can get samples over at your end! This looks so pretty, wow. My gosh this sounds so good and I love the packaging too! Uru, hope you can get some samples too! Mmm...I love Peony flowers...!!! Another nice fragrance from Ralph Lauren. EH, come & join the party! 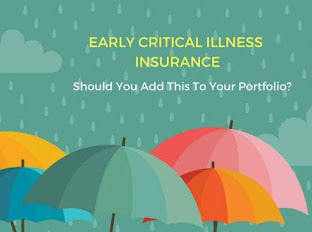 You may be one of the lucky three! I love scent with vanilla... good luck for all! KK, thanks & have a good week! Kenny, if only you could participate too! You had me at romantic babe...my fave scents are super girly! Julie, pleasure is mine & certainly love to see more of you here! Hi, do i comment on my own shared pic of the post or the original pics of the giveaway? Baby Blush, once you click on Share "this giveaway photo" above, it'll bring you to the FB post where you can type your answers. You can also see other participants' entries when you scroll down the FB post. Good luck! Lovely! Good luck to all in the giveaway. Sarah, enjoy your coming weekend! This fragrance is awesome ! I love their perfumes wish I could takepart it in. Subha, such a pity! Do look out for our int'l giveaways, dear! Eleonora, glad you like the post too! Wow! I love anything Ralph Lauren and got hooked to it during my student days in US. All their fragrance are suitable and never on the too strong sides. I am wondering whether it is on sale in my country now. Hey, I have seen the link to your FB. Thanks. Barbara, thanks for your entry! Unfortunately, this is only open to participants residing in Singapore as spelt out in the rules above. Do try your luck in our NuNaturals Giveaway open to all worldwide!